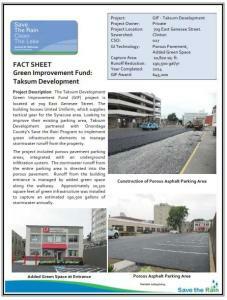 The Taksum Development Green Improvement Fund (GIF) project is located at 709 East Genesee Street. 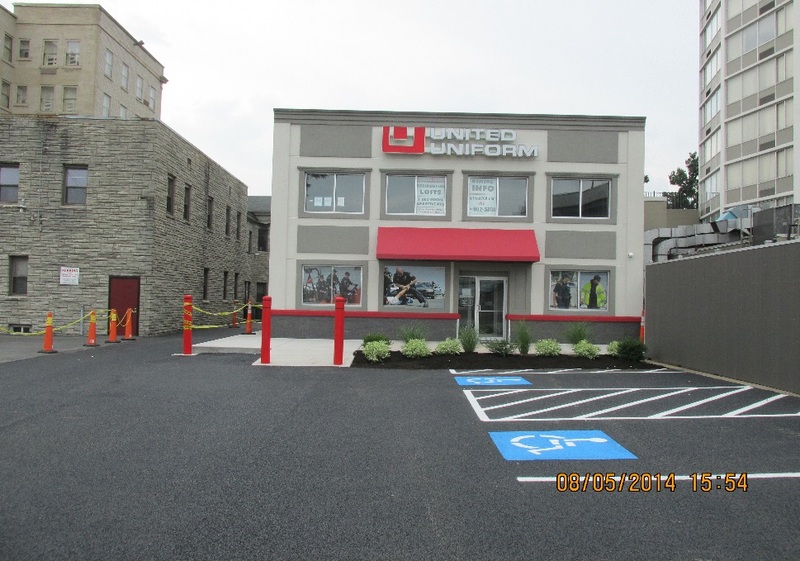 The building houses United Uniform, which supplies tactical gear for the Syracuse area. 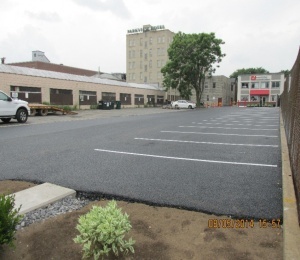 Looking to improve their existing parking area, Taksum Development partnered with Onondaga County’s Save the Rain Program to implement green infrastructure elements to manage stormwater runoff from the property. 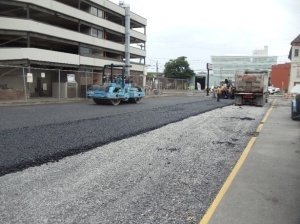 The project included porous pavement parking areas, integrated with an underground infiltration system. The stormwater runoff from the entire parking area is directed into the porous pavement. Runoff from the building entrance is managed by added green space along the walkway. Approximately 10,320 square feet of green infrastructure was installed to capture an estimated 190,500 gallons of stormwater annually.